Professor Willow is the first person you meet in Pokemon Go. He is your teacher and mentor and you trust him. He seems nice and helpful. You immediately trust Professor Willow. What if there is more to Professor Willow though than meets the eye. What if he wasnt as trust worthy as you think? Have you ever stopped to ask yourself the question. What is Professor Willow doing with all those Pokemon you are transfering to him? Or how about an equally disturbing question. Where does Pokemon Candy actually come from? The answers to these questions have not yet been revealed. However there is one very interesting thing about Professor Willow that is factual. Professor Willow is not the first Pokemon character in the series with the name Willow. Yes, Willow is actually another character that has appeared in other games. What is interesting is that the other characteer bears a striking resemblance to Willow only he appears older. However, if Pokemon Go occures prior to the other games as many people think then the other character could infact be Professor Willow. Professor Willow is a key character in the Pokemon Go game he is actually the first person who you meet. You also continually contact him anytime you transfer a Pokemon. Professor Willow bears a striking similarity to a character named Pryce who appears in the games (Gold, Silver, SoulSilver, Heart Gold, Black, White and Pokemon Puzzle Challenge). Reasons why Willow is Pryce. First, the two look alike provided you assume that Pryce is the older version of Professor Willow. 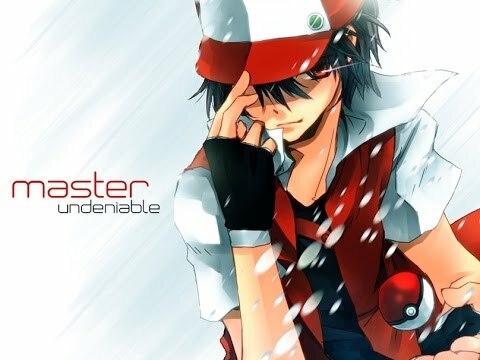 The two even strike a similar pose in their images with each holding up a Pokeball. Second, Pryce tells a weird and out of place fact about himself in Soul Silver / Heart Gold. In this game he reveals that his middle name is actually Willow. Not only does he reveal this once but he later reiterates it. This is pretty interesting because the tree based names like Oak / Willow are used for Professors in the Pokemon Games. At the time gamers took this line to strongly hint at Pryce being a former Poke Professor in the game. This was something never really followed up in later Pokemon games until......Pokemon Go where a Professor Willow appears. "Willow is my middle name. Willow is flexible and not easily broken. I'm not giving up yet." "Yes, this is Pryce. How are you doing? Do you know why they call me the winter Trainer? Do you recall that my middle name is “Willow”? The willow tree looks like it withers in winter’s cold. But really, it sprouts dozens of new buds. My fighting style is also strong just like that... It’s written in old books, you know. You should look it up sometime." Pryce also indicates that he has undergone a hard life with lots of trauma. He says he has suffered much in life. He does not elaborate on what caused this suffering but it is possible that he lived through a traumatic war. It also appears that whatever caused Pryce to have suffered it has not yet happened to his younger Professor Willow self. Professor Willow seems very optimistic and happy. Pokémon have many experiences in their lives, just like we do. I, too, have seen and suffered much in my life. Since I am your elder, let me show you what I mean. I have been with Pokémon since before you were born. I do not lose easily. I,Pryce--the winter trainer-- shall demonstrate my power!" Why did Professor Willow change professions? 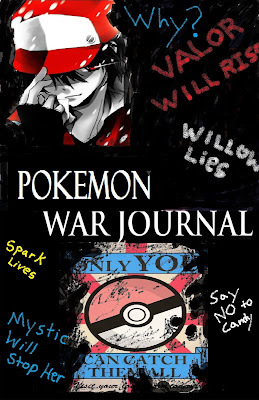 Perhaps he became a leader in the war using Pokemon to battle and at that point could not go back to being academic. Another thought is that he might be atoning for something he did during the war and as a gym leader is helping bring up a new generation of Pokemon leaders.